Join the Orbis Technologies team at the 2019 RSuite Event! Watch your email for full agenda coming soon. Annapolis, MD – Next month, the team from Orbis Technologies, Inc. will make its debut at the Avalon 2019 Australian International Aerospace & Defense Exposition, taking place between February 26th and March 3rd in Geelong, Australia, a suburb of the capitol city of Melbourne. Orbis Technologies together with Turn-Key Systems, its Australian subsidiary, will showcase their content management software, DocZone and TopLeaf. Clients in the aerospace and airline industries use the software to streamline the creation of maintenance manuals, preflight checklists, and other documents used by flight crew and ground crew alike. Come visit Orbis Technologies and Turn-Key Systems in the State of Maryland booth. To see a demonstration of DocZone or TopLeaf, please stop by the Maryland booth, 3A13, or contact us to schedule an appointment. Founded in 2006, Orbis Technologies has been successfully delivering innovative, end-to-end data analytics and content management solutions to U.S. Department of Defense and Commercial communities. Our advanced solutions solve our customers’ complex data challenges. We serve our customers through comprehensive knowledge of data fusion, situational awareness, and actionable intelligence engineering as well as Enterprise and Software as a Service (SaaS) content management software. Orbis supports clients throughout the world from our headquarters in Maryland, USA and offices in Sydney, Australia and Chennai, India. (Annapolis, MD) - Orbis Technologies, Inc. has completed the acquisition of Turn-Key Systems Pty Ltd, an Australian software company. Turn-Key has over 20 years of experience in the content management market and holds an impressive client list of companies located in Australia, Europe, the United States, and Canada. Turn-Key’s flagship product, TopLeaf, is a DITA industry standard compliant software product used by the publishing, aerospace and legal professions to generate complex finished documents that are high quality and ready for paper and electronic delivery. 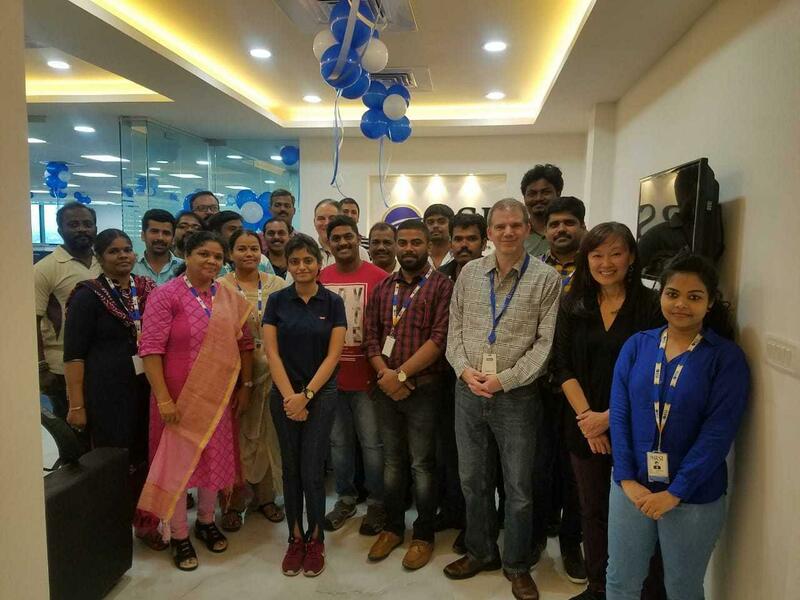 With existing clients in 13 countries and operations in Chennai India, Orbis Technologies now expands its global presence into the Asia-Pacific region as a result of acquiring Turn-Key Systems. Chennai, India – On November 8th, RSI Content Solutions India (RSI Content Solutions India Pvt. Ltd.) opened their new office location in the Chennai Technology Corridor. On hand from parent company Orbis Technologies were Brian Ippolito (CEO), Thuy Pisone (Corporate EVP of Global Services), and Kevin Chasse (RSuite Technical Director). The opening of this state-of-the-art space coincides with an exciting chapter in the history of RSI India, as it continues to grow and expand in capabilities. The new office is larger and better furnished, providing a comfortable environment from which the team can fulfill their vital role in the supporting the various Orbis project teams. We wish the wonderful, kind folks of RSI India nothing but the best as they continue to settle in to their new environment! Much more to come.